Explore our new stylish range of Recessed and Suspended LED Downlights for Architectural interiors which blend into modern spaces beautifully. Attention to fit, form and function. With guaranteed energy efficiencies, our professional range of indoor LED downlighters are designed to highlight interiors and blend harmoniously with their surroundings. With attention to fit, form and function, these luminaires incorporate precision optics, robust thermal management and well-composed light performance. Install directly from the box, with remote drivers allowing for fast installation and easy maintenance. The Goodlight™ Elegante LED Downlight is a design-driven, ceiling surface-mounted luminaire which seamlessly blends into interiors with its soft curves and sleek lines. It replaces standard CFL and halogen downlighters, providing a beautiful, natural symmetrical effect. Featuring an integral driver, it allows for quick and easy installation. With IP20 protection, options include opal reflector for low-glare environments and surface or pendant mounting. The Elegante range has an ultra-long lifespan of 50,000 hours (L70) providing extreme energy savings and meeting sustainability criteria with an A++ energy rating. The Goodlight™ Modula LED Downlight (Recessed) is a versatile, low voltage architectural downlighter with various aperture options to provide precision lighting performance using Pinhole, Wide Spot, Square and Elliptical light guides. Suitable for new builds plus refits and refurbs replacing energy-wasting halogen and CFL downlighters, they are protected to IP20, with a satin finish. Featuring sturdy spring clips for a tool-free installation, they slot into ø75mm apertures seamlessly. The body can be adjusted up to 30° for precise, angled lighting exactly where it is required. Choose from a series of apertures which focus the light to enhance your space. 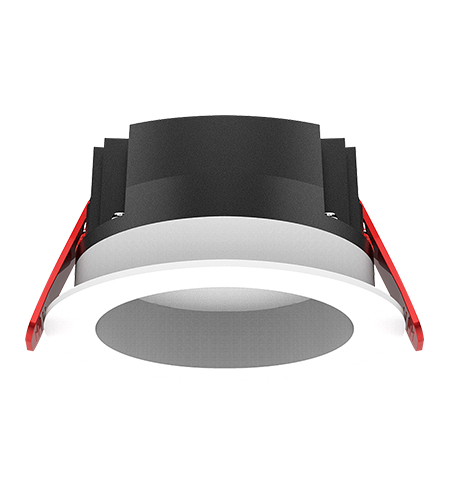 With an anti-glare lens, the Modula LED Downlight meets UGR <19. With a die-cast aluminium heat sink that draws heat away from the LED Chip, heat is tackled more effectively, improving the overall performance and longevity. Create your desired lighting effect. Choose from narrow, medium and wide beam angles. The Goodlight™ Moderno range of Adjustable LED Downlights provides precision engineering with extreme sophistication. With ultra-long lifespans of 50,000 hours and exceptionally low wattages, it is sustainable as well as virtually maintenance-free. A key feature is its versatility. Housed in a adjustable body, Moderno is fully flexible, once installed. You can direct the light exactly where it is required, utilising its 350° rotational mechanism. Moderno is a sturdy and durable LED Downlight with screw-tightened spring clips, which fix into place during installation. Options include various cut-out sizes, wattages, optional DALI dimming, custom bezel options (Gold and Black), beam angles and Daylight, Natural and Warm colour temperatures. The Goodlight™ Nero LED Wall Wash Downlights are the stylish, energy-efficient upgrade to metal halide wall washers and halogen downlights. Designed to light up walls and corners, it provides a wide, asymmetric light distribution perfect for wall washing and creating a real sense of space. Nero LED Wall Wash Downlights are rated IP20, slotting directly into apertures of ø90mm, blending seamlessly into modern interior settings. Featuring a wide, asymmetric distribution, throwing the light onto the wall, it produces an interesting mood lighting effect. These LED Downlights have a high lumen output of up to 1,294Lm, providing a bright, glare-free lighting effect that adds interest to your desired interior setting. Choose from dimming options including DALI, Triac and 1-10V and Daylight, Natural and Warm colour temperatures. Flexibility to choose the look you require. The Goodlight™ Intra is a recessed LED Downlight suitable for interiors, with protection to IP20. Featuring spring clips for super-fast, tool-less installation, in various wattages and cut-out sizes to suit your requirements. It is powered by a Philips Xitanium LED Driver, with low ripple and THD. It can be used in refurbs and refits to replace CFL and halogen downlights, whilst providing attractive energy savings, without compensating on light output. Featuring an opal lens, Intra delivers glare-free lighting, ensuring suitability in VDU and workstations. Lighting options range from 9W-50W, with various cut-out sizes (Ø90-215mm) and dimmability. Intra can be customised for your interior in black, white or anthracite grey housing with a white bezel. 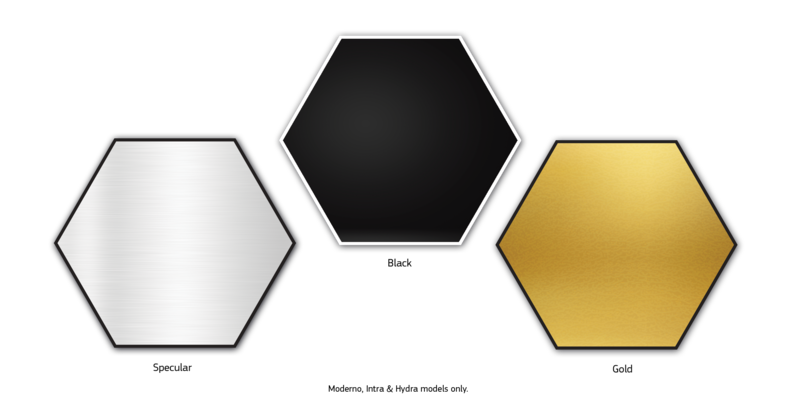 You can choose between a highly specular, silver or gold reflector, or opt for an anti-glare lens delivering UGR 18-21. 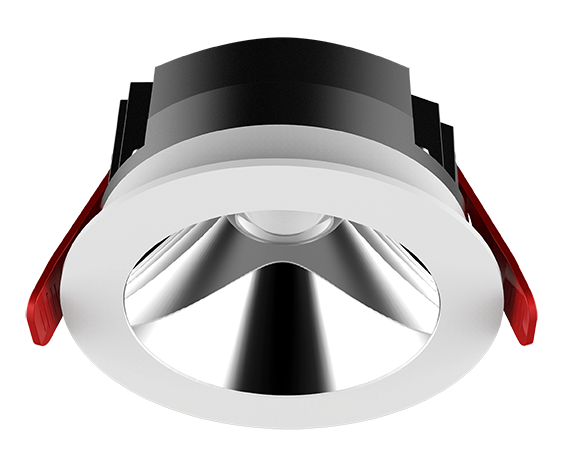 The Goodlight™ Hydra is a multi-functional, waterproof LED Downlight that has been designed for demanding environments requiring a higher degree of protection. 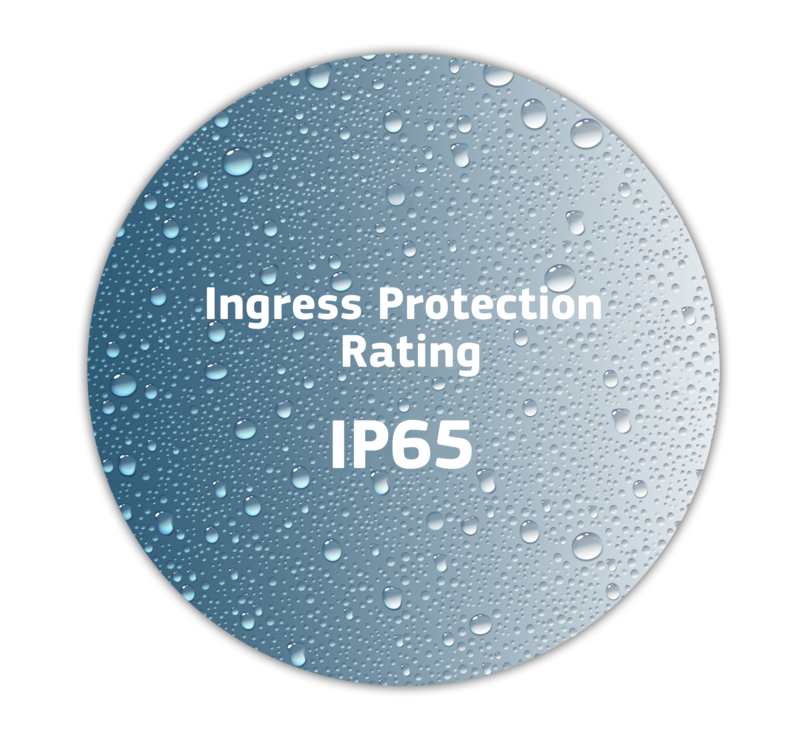 It is suitable for both interiors and exteriors with protection to IP65. Featuring spring clips for super-fast, tool-less installation, in various wattages and cut-out sizes to suit your requirements. It is powered by a Philips Xitanium LED driver, with low ripple and THD. It can be used in refurbs and refits to replace CFL and halogen downlights, whilst providing attractive energy savings, without compensating on light output. Hydra provides comfort due to its opal lens cover, ensuring suitability for use with VDU and workstations, and ideal for low level office lighting, commercial and retail environments. Lighting options range from 9W-50W, with various cut-out sizes (Ø90-215mm) and dimmability. Hydra can be customised for your interiors in black, white or anthracite grey housing with a white bezel. 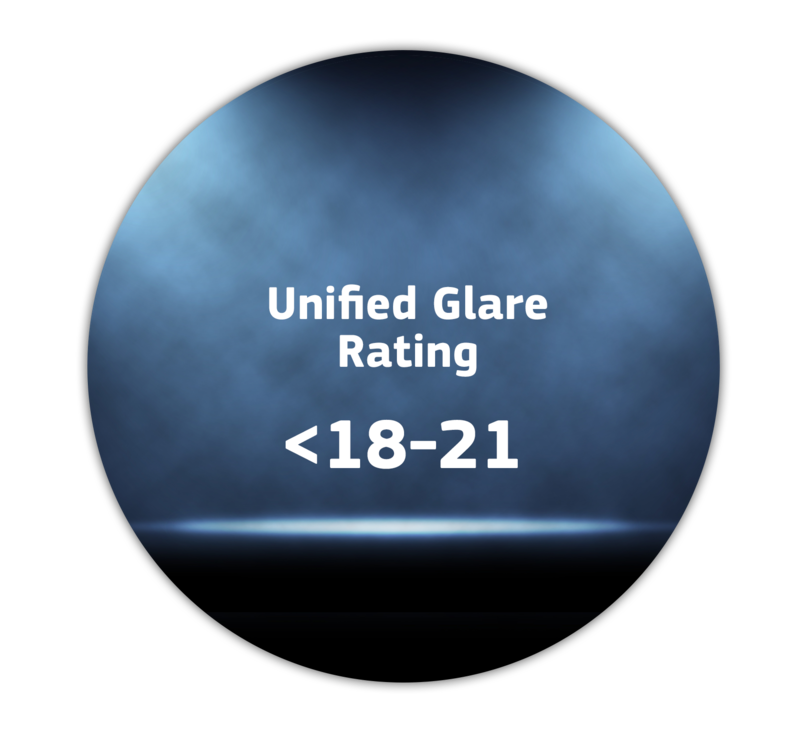 You can choose between a highly specular, silver or gold reflector, or opt for an anti-glare lens delivering UGR <18-21. 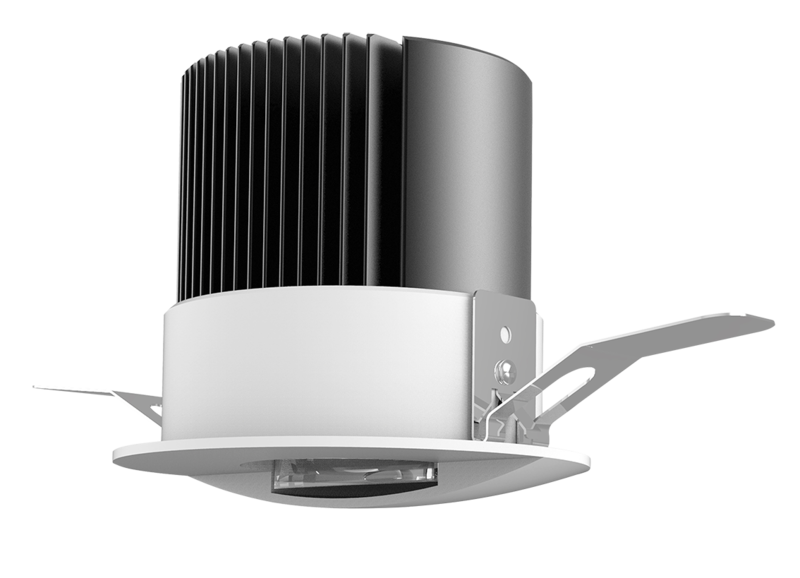 The new Architectural LED Downlight range is rated for 50,000 hours and supported by a 5 Year Guarantee against failure. We are so confident in the quality and performance of our products which is why all of our LED lighting is backed by a 5 Year Guarantee, supported by all of the live Goodlight LED installations that have already exceeded 5 Years. Learn more about our 5 Year Guarantee here.